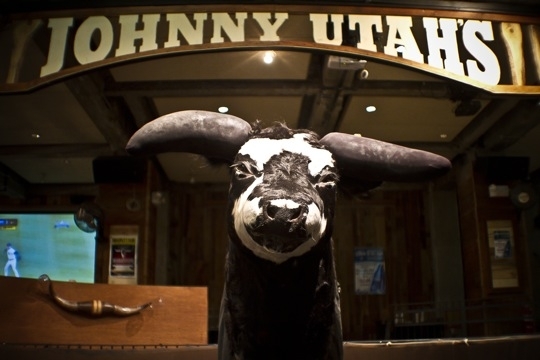 Housed in a former bank, Johnny Utah’s décor pays tribute to the ole’ West with interpretations from mining shafts including exposed columns and towering ceiling beams. 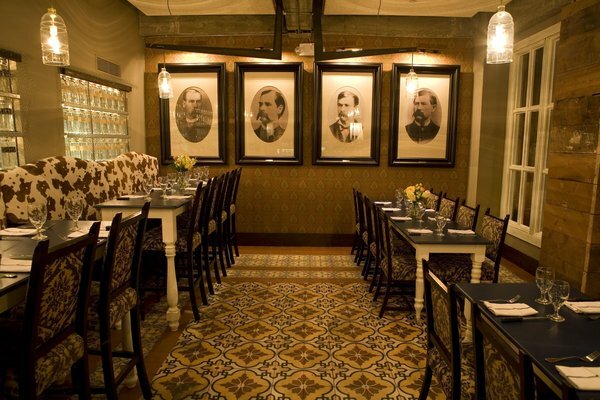 The epicenter of Johnny Utah’s is the “ring of fire”, created with cascading chains and burning candles. 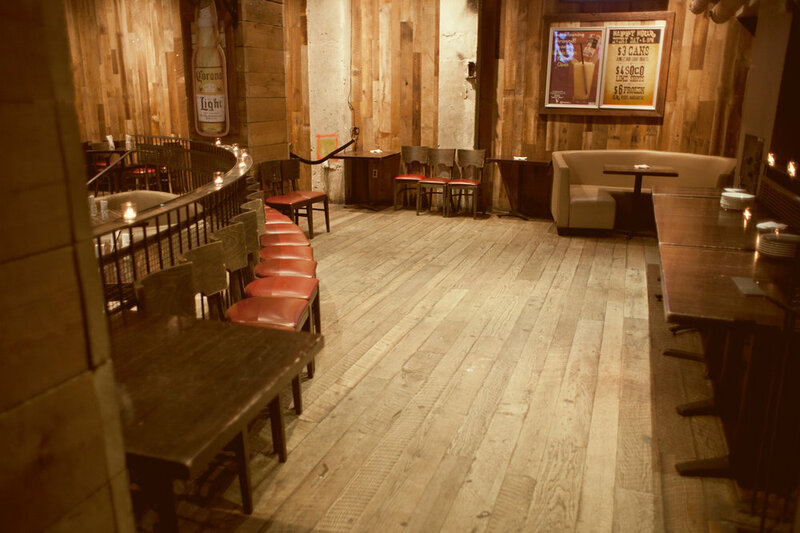 Aside from our main room, which is adorned with candlestick lighting, vaulted lampshades and graphic western-inspired imagery and pony-hide furniture, we boast several private rooms for you to meander through. 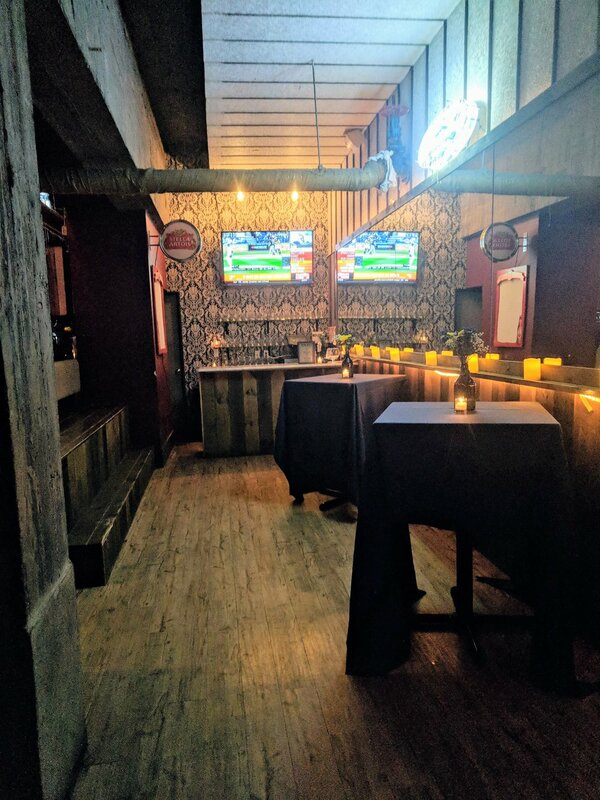 Located behind our expansive 38’ bar, is the glass enclosed Earp Room that overlooks the main room so you can marvel at the revelers as they marvel at you from below! The provocative Vault, aptly named after the preexisting bank vault, is lined with safety deposit boxes illuminated by antler pendant chandeliers from above. 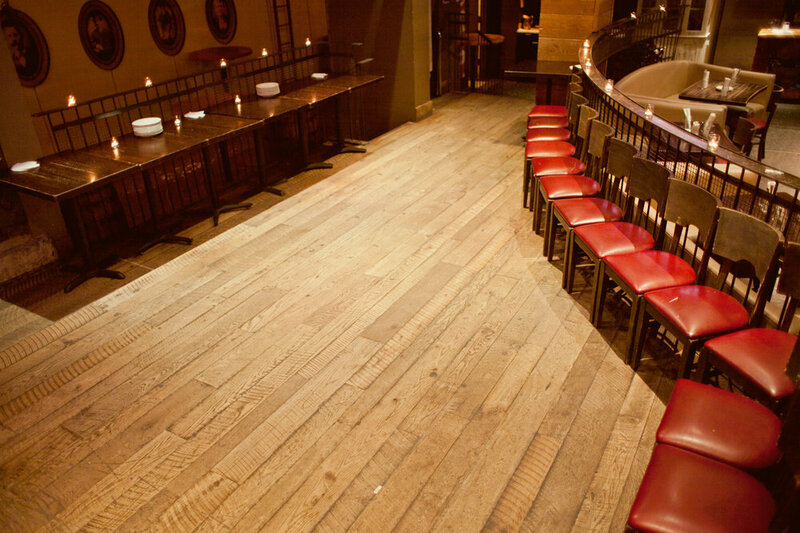 Along the right side of our main dining room you'll find The Parlor, complete with a private bar! 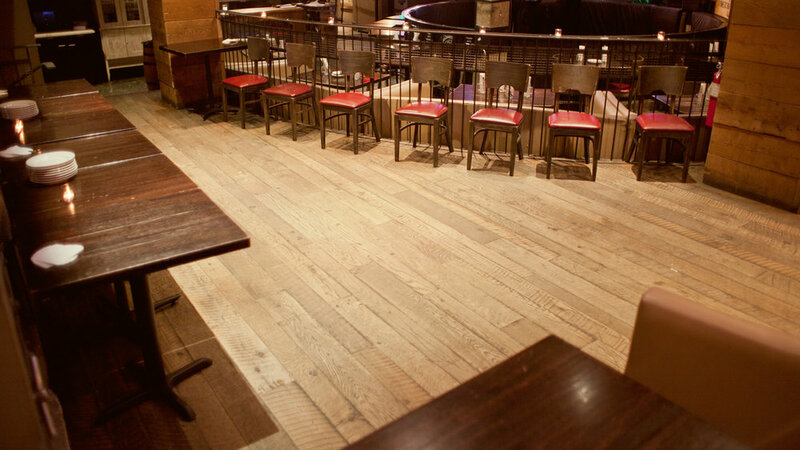 We also have a number of semi-private areas available to suit any size event, including The Porch that overlooks the main room and is the perfect place to watch guests trying to tame our bull! Most venues won’t point out bathroom décor, but in the case of Utah’s, we must! The communal bathrooms are fashioned after an upscale outhouse with corrugated metal walls, old fashioned antique oil lanterns, and a marble trough sink. We have fully customizable catering menus - platters, buffets, pre-fixed dinners, and passed appetizers. Fill out the form below and our event coordinator will be with you as soon as possible! Sign Up For Our VIP Program!